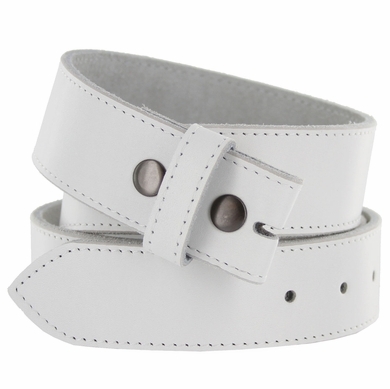 This white belt strap is 100% leather and comes with a snap system allowing for easy switching of belt buckles. Belt strap has 5 holes. 1 1/2" wide belt Strap. 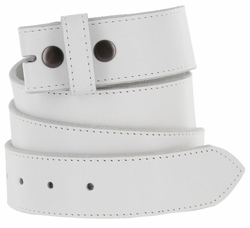 Belt Size is measured from where the leather ends at the buckle end to the middle hole at the tip end.